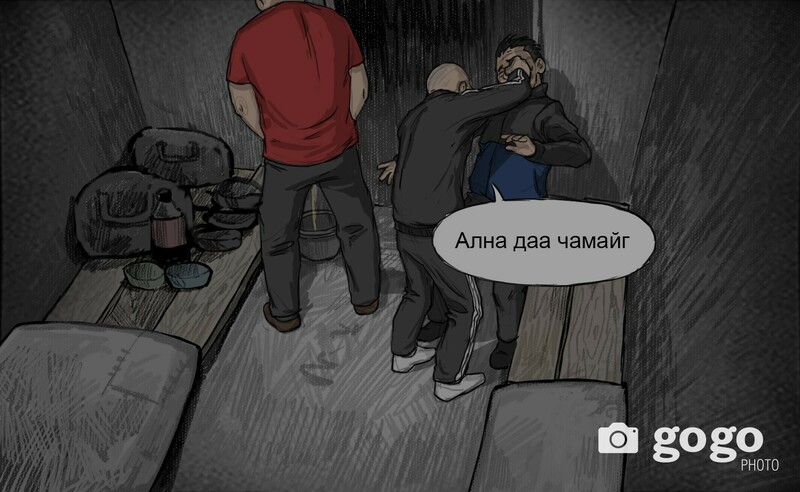 On March 30, torturing video of B.Sodnomdarjaa and T.Chimgee who were accused of S.Zorig murder case has been shown to journalists. The video lasts 27 minutes and 5 seconds, and about 200 journalists and cameramen without any cell phone, camera, pen and paper have watched it. It was the part of 660 days of video. In other words, 27.05 minutes of video included actions happened between September 1 and 6, 2015. 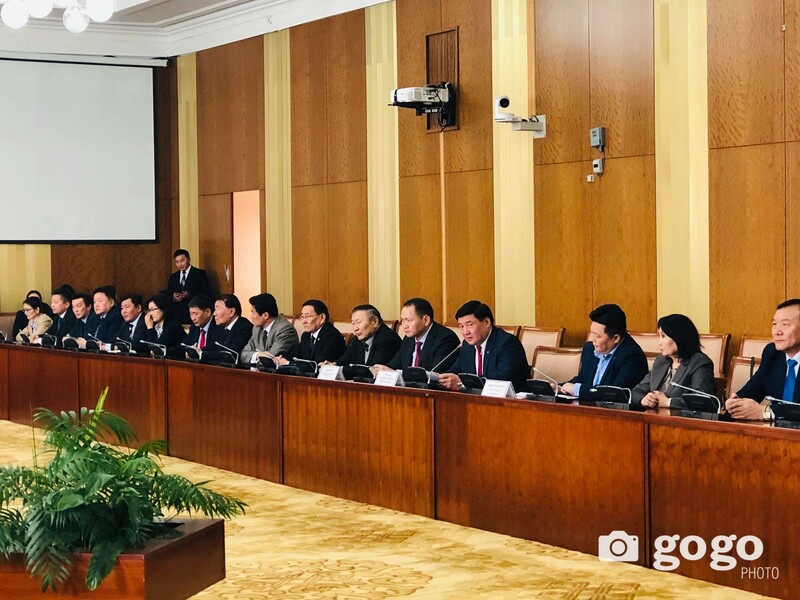 Head of the Cabinet Secretariat of Government L.Oyun-Erdene and Minister of Justice and Internal Affairs Ts.Nyamdorj, and officers of General Intelligence Agency gave explanation on the video. They were imprisoned in basement of affiliate prison of General Executive Agency of Court Decision located in Tuv province. The basement has been out of usage since 2000, and it was prepared intentionally for this case. A room where Ts.Sodnomdarjaa was imprisoned was small as 7 wooden boards with 20 centimeters width, and there was no ventilation, toilet, water, but 5 litres emulsion bucket as toilet. Officer of General Intelligence Agency said that prisoner was stayed here for 476 days. On September 1, 2015, at 23.05. 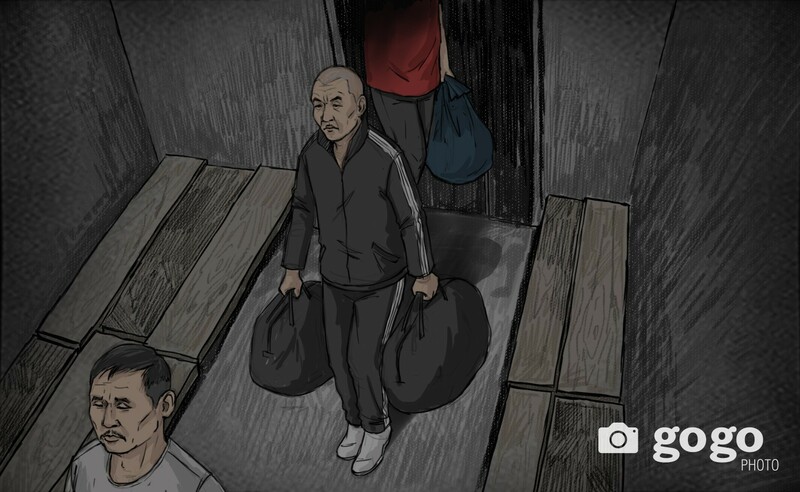 Ts.Amgalanbaatar, criminal of murdering case, and E, sentenced to 16 years of murdering case, came to the room with one blanket and two big bags. And Ts.Amgalanbaatar demanded to confess many times. But B.Sodnomdarjaa responded “I didn’t kill anyone. I can’t kill somebody and I won’t confess” all the time. From the beginning, Ts.Amgalanbaatar demanded to confess and made B.Sodnomdarjaa walked in goose-step, pushed ups from 23.00 until 14.00 next day. General Intelligence Agency informed that imprisoners should sleep after 23.00 according to the imprisoning rule. Ts.Amgalanbaatar and E made bed opposite of the door and rested there at noon, but B.Sodnomdarjaa couldn’t sleep and still having torture. After days of torturing, B.Sodnomdarjaa defied order of sit down. And Ts.Amgalanbaatar screamed “I kill you” and threw prisoner E’s bucket of urine to him. And prisoner E bit B.Sodnomdarjaa over 30 times until fall down. E was about one head taller than B.Sodnomdarjaa. General Intelligence Agency informed that B.Sodnomdarjaa testified about his ribs were broken, and stated E was 192 centimeters tall and weighed 110 kilogram. After 4 days, Ts.Amgalanbaatar left the room and another man came to the room. General Intelligence Agency informed that officer of General Executive Agency of Court Decision made prisoner B entered to the room. 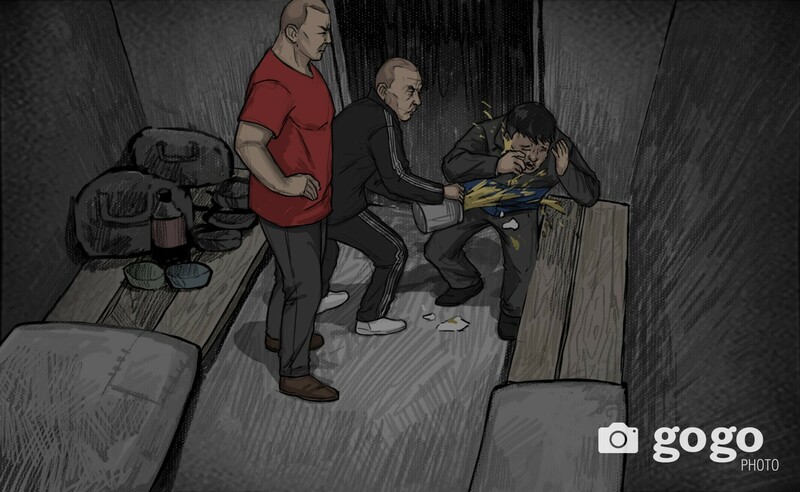 Prisoner B greeted and hugged B.Amgalanbaatar, and B kicked B.Sodnomdarjaa several times and demanded to confess. Besides, video of T.Chimgee’s room lasts 43 minutes at night of April 8-9, 2015. On September 8 at 23.36, Ts.Amgalanbaatar with a bare chest came into T.Chimgee’s room and stood there saying and cursing “Confess. Think about what to say to inspector tomorrow. Say something” for 43 minutes. He smoked and said “Thank you” to guard when leaving the room. D.Dorligjav was at position of Minister of Justice in 2015 when the torturing in the video was happening. 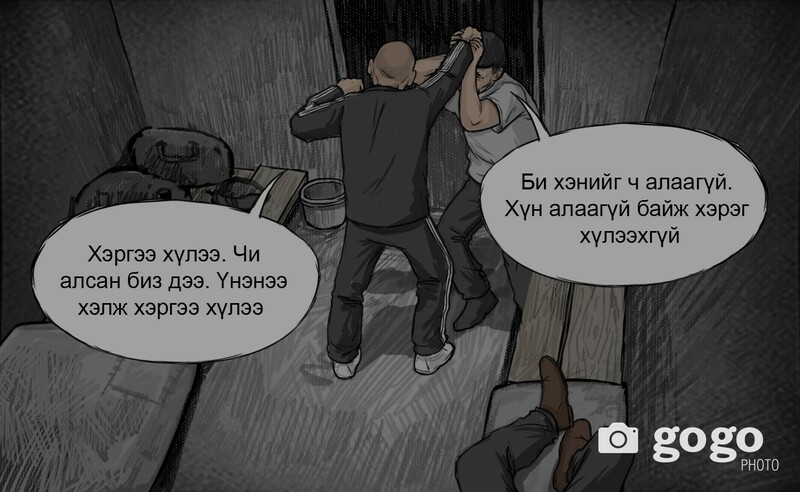 General Intelligence Agency informed that officers in the video of torturing B.Sodnomdarjaa and T.Chimgee violated provisions of International convention and treaty, and Law of Mongolia with seven grounds. In particular, convention against “Torturing, punishing and assaulting”, Universal Declaration of Human Rights, and Law on Arrest and Detention of Suspects were violated possibly.